Most of my teaching career has been in inner-city London and a piece of my heart will always belong there. Working with children and families for whom education is one of the main routes out of poverty and danger inspires our mission every day. Bella Learning seeks to empower every parent, carer and pupil and is particularly interested in outreach projects where we can support families from less advantaged backgrounds. 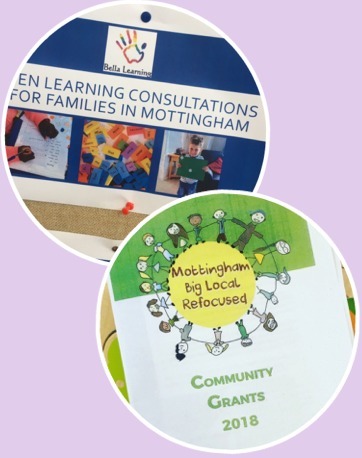 In September, we were delighted to be awarded a grant from Mottingham Big Local Refocused, which means that we can offer 10 learning consultations to pupils on free school meals in the local area. We cannot WAIT to get started on this! Do you offer grants or do you know a local project that we could apply to so we can support families in your area? Let us know. Ultimately, this is what it’s all about. By subscribing to our website and supporting our events, you are also contributing to what we can offer disadvantaged families in the future. Thank you!